Various of us at Cultivate! are engaged in research on agroecology and healthy food systems, always in collaboration with others. Below, you can find some of our current research processes. Cultivate! is currently collaborating with CAWR on a study to identify enabling factors for the amplification of agroecology as a transition pathway to sustainable food systems. This study was requested by the FAO. It will be based on a systematic and critical literature review and case studies of agroecological transition in different regions, at different scales. The latter are being co-authored with representatives from farmer organisations and social movements. We will develop a framework that can be used to examine the dynamics and building blocks for agroecological transitions. CAWR will launch the findings of the study through a multimedia publication in October 2018. Partners: Federal University of Viçosa (Brazil), Wageningen University (The Netherlands), Centre for Alternative Technologies, CTA (Brazil) and others. In Brazil, Cultivate! is analysing the various emancipatory strategies of young agroecologists to change the dominant discourse on agriculture and rural-urban migration. Combining action-research with ethnovideography, we collaborate with peasant unions, youth collectives and land reform settlement groups. We facilitate video making workshops on their request, and film their emancipatory practices. All footage, audio-recordings and film screenings are used to generate data. 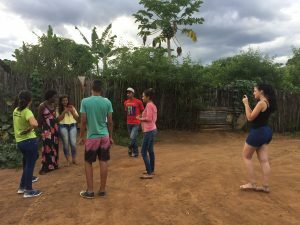 As part of this research, we also co-design and test educational materials on audiovisual memory to enhance learning on agroecology. The ambition is to align visual action-research methods with emancipatory practices. In August 2020 this research, which is part of a PhD, will be finalised. 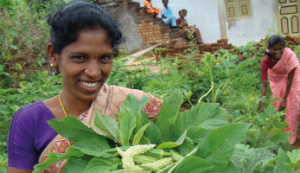 Accompanying processes of self-determination of peasant and indigenous communities is part of our work at Cultivate!. 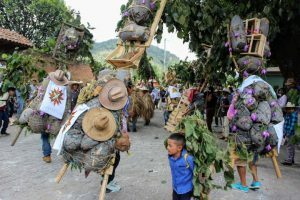 In Mexico, we are documenting the management strategies of ritual plants in Cherán, a Purepecha community in Michoacán state and the first self-governing indigenous community to gain legal recognition from the Mexican government. The objective is to obtain baseline data on plant uses, threat and conservation status of useful plants and, particularly, edible crops, crop wild relatives, as well as the ecological knowledge embedded in rituals. Moreover, we aim at contributing to Cheran’s ongoing process of reclaiming their identity and cultural traits, as well as to informing their strategies to achieve food and health sovereignty. The first results of this project will be presented in Cherán mid-2018.